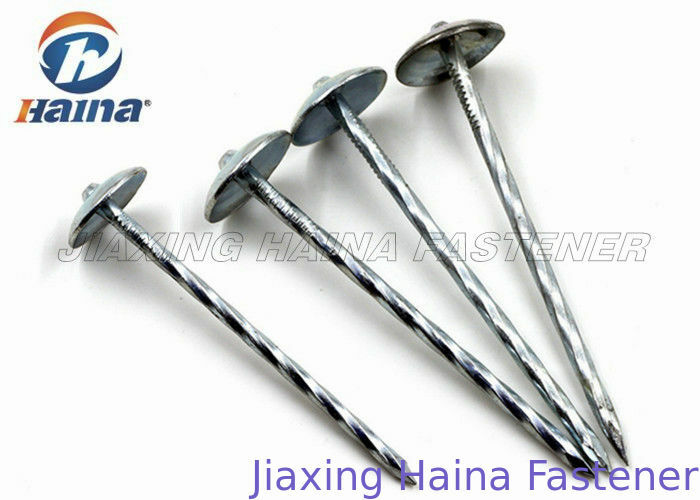 The roofing nails also called umbrella head roofing nails.According to the head of nail in different shape can be divided into parallel and circular arc form roofing nail, but because of the different lever on the design, with light body, annular, spiral and square, buyers can according to different usage, the needed to buy or custom roofing nail style, in order to achieve the best effect of fixed. 1. 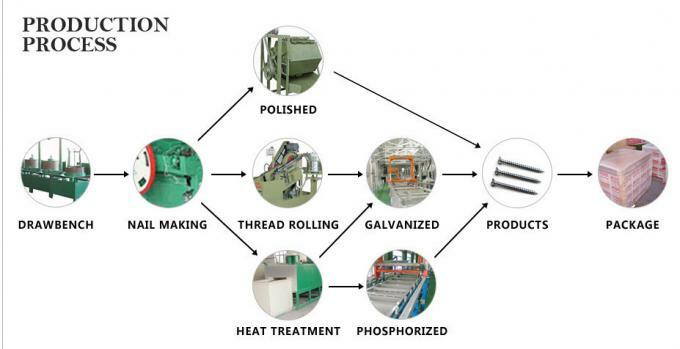 Steel nails: mainly used in concrete, the ground and the connection of material on the surface and base fixed structure.Steel nail strength big, not easy to rust, normal walls without punchs a hole drilling, easy to use, but the cost is higher, less models, decorated in dosage is not big. 2. Round nails: mainly used in the primary structure is fixed.Round nails strength is small, easy to rust, must be used drilling drilling, low prices, models complete, use more. 3. The nail straight: mainly used for surface plate fixed.Need to use special straight nail gun, the price is low, not easy to rust, and can improve the work efficiency, use more.Fixed surface plate nail when the eye is not easy to see that both reduced the late paint work harder, and increased the adornment effect. 4. Peg: mainly used for veneer fixed at the grass-roots level.Need to use special lines nail gun, the price is low, not easy to rust. 5. Insulation nails: also called anchors (bolt).Extrusion principle is through the internal bolt made the bolt ring of the outer tube (or similar) outward deformation (inflation), the more crowded the deformation, the greater the final fixed inside the hole.Bolts should pay attention to when using: 1) the hole diameter and tube diameter is not too big;2) porous materials can't be too soft. 9BWG*2" 9BWG*2 1/2" 10BWG*2" 10BWG*2 1/2"
11BWG*1 1/5" 11BWG*2" 12BWG*1 1/5" 12BWG*2" 8BWG*2 1/2" 8BWG*3"
Used to connect to wooden pieces, as well as the asbestos sheets, plastic tile fixed. 8. 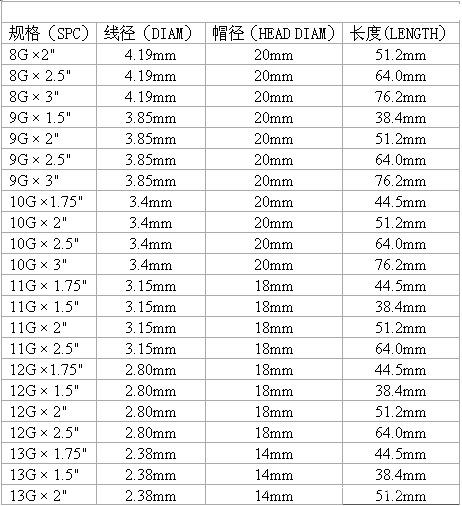 Test report and material certificate will be sent with goods together if you need.